Former Patrick Henry standout Jonathan Gomez is representing Colombia in the world junior championships. When Jonathan Gomez boarded a plane at Roanoke Regional Airport at 4 p.m. Wednesday, it was two hours past his bedtime. Gomez has been on a crazy schedule in recent days and he couldn’t have been more excited about it. A June graduate of Patrick Henry High School, Gomez set off on a journey that is taking him to Dubai for the FINA World Junior Swimming Championships starting Monday and running through Aug. 31. “It’s a very big deal,” said Greg Lake, Gomez’ coach with the Carter Athletic Center Marlins. “It’s the breeding ground for all future Olympians, basically. Gomez will be representing his native Colombia, the country his family fled in the midst of escalating violence in 2009. Each country is allowed to send two swimmers in each event. Gomez, the Timesland boys swimmer of the year this past season, will swim the 100- and 200-yard butterfly. Gomez also has qualified for the 2014 Youth Olympic Games in Nanjing, China. “It’s going to be awesome to represent my country,” said Gomez, whose two younger siblings also swam for Patrick Henry this past season. “As long as it’s safe, I would be looking to go back. But, we don’t know yet. We don’t have authorization from the U.S. government to go back. Gomez, who signed a letter-of-intent to swim for St. Peter’s in Jersey City, N.J., will miss the start of classes. Gomez’s flight from Roanoke took him to Atlanta, and then it was on to Dubai, located in the United Arab Emirates. That part of the trip will take 15 hours. Gomez’s first goal is to drop time, then to finish in the top 10. Lake’s goal for him is to make the semifinals. In other words, to swim both events at least twice. Lake has been coaching Gomez since May, when he moved over from the Gator Aquatic Center in Roanoke. Mark Robertson and Andrew Stockstill currently play for Emory & Henry, and Zach Whitaker plays for Hampden-Sydney. Jenny Young (Roanoke, VA) was announced as the Catawba College Athlete of the Week for the week beginning October 15, 2012. Young, a senior, is an Exercise Science major and a member of the Volleyball team. 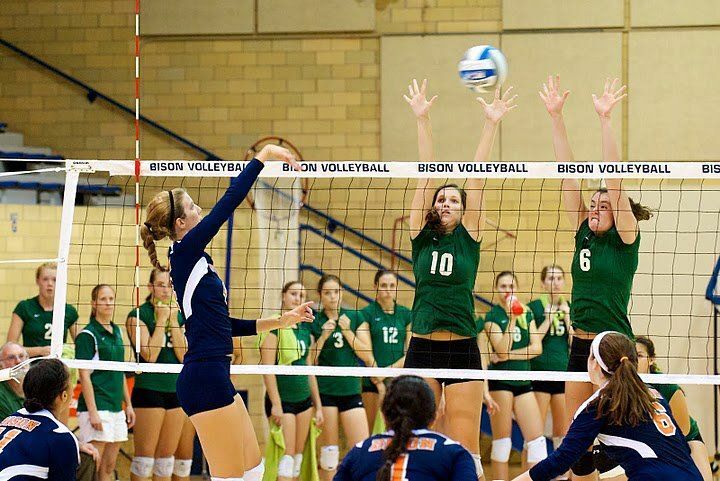 Read more about Young's achievements in the Volleyball news section. 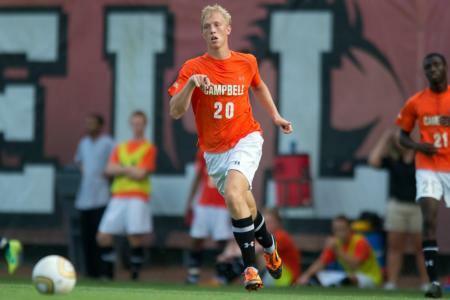 BUIES CREEK, N.C. – Coming off a midweek victory at nationally-ranked North Carolina State, Campbell returns to action Saturday with a 6:00 p.m. kick-off at Radford in the Big South Conference opener for both teams. Campbell's 4-1-1 start to the season is the program's best since the 1995 club opened that campaign with the same mark. Radford (2-2-2) is winless in its last 3 outings (0-2-1), all of which have been overtime contests. LAST TIME OUT: CAMPBELL (4-1-1) defeated 17th-ranked North Carolina State 2-0 on Tuesday behind goals from Bryce Miller and Ricki Gaez, plus 7 saves from keeper Ethan Hall. Hall saved a 63rd minute penalty kick, then Mitchell Cardenasset up Miller (76th) and Gaez (82nd) to give the Camels their second-straight win over the Wolfpack… RADFORD (2-2-2) suffered a 1-0 loss on Sunday against Marshall when the Highlanders surrendered a 98th minute goal to Jack Hopkins. The outing was Radford's fourth extra time contest in six games this year. RICHMOND, Va. - Cameron Chavira(Jr., Roanoke, Va.) scored his first career goal just over two minutes into double overtime to push the Virginia men's soccer team to a 1-0 triumph at VCU Tuesday evening in front of a record 2,242 spectators at Sports Backers Stadium in Richmond, Va. Chavira's golden goal helped Virginia (5-3-1) hand VCU (4-1-2) its first loss of the year. Freshman Elijah Tackett improved by three strokes on the final day to card a four-over, 74. Tackett fell one stroke behind Dye to finish the weekend at +11. 151, good enough for a tie for 17th place overall. YORK, Pa. - SMary Washington freshman pitcher Hannah Otterman (Roanoke, Va./Patrick Henry), who earned first-team all-star recognition in the circle with Brittingham, was selected by the CAC coaches as the 2012 Capital Athletic Conference Softball Rookie of the Year. Otterman is the third UMW player to be picked as the Rookie of the Year, joining Jennifer Lee (1999) and Cathy Hull (2006). FOREST, VA-Hampden-Sydney baseball freshman Zach Whitaker (Roanoke, VA/Patrick Henry) headlined the Tigers' All-ODAC selections being named First Team and the 2012 ODAC Rookie of the Year. Joining the Roanoke native are fellow freshmen and Second Team selections Christian Hamlett (Midlothian, VA/Cosby) and Jeff Gray (Newport News, VA/Menchville), and Third Team selection senior Jordan Wind (Tappahannock, VA/Essex). Randolph-Macon's Jordan Walton was named the Player of the Year; Lynchburg's Kevin Chandler was the Pitcher of the Year; Emory & Henry's Trey McCall was named the Coach of the Year; and Lynchburg's Zach Fitzpatrick was named the ODAC/Farm Bureau Insurance Scholar Athlete of the Year. Whitaker, who earned ODAC Pitcher of the Week honors in the final week of the regular season, was solid all season for the Tigers, posting a 7-3 record in the regular season with two saves. In conference, Whitaker posted a 5-1 record with three complete games. 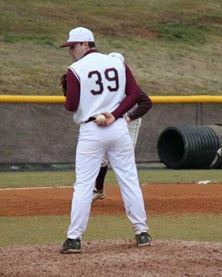 Against Emory and Henry, the rookie pitched nine shutout innings, and against Virginia Wesleyan and Bridgewater, he allowed one run in each of his nine innings pitched. In 65.2 innings pitched, posted a 2.60 ERA with 50 strikeouts to just 18 walks. He was tied for first in the ODAC in wins, third in innings pitched, fourth in strikeouts and appearances, and tied for sixth in saves. Hamlett made an immediate impact for the Tigers in left field appearing in 32 regular season games while posting a batting average of .327. He started his career with a bang, recording a hit in each of his first five games - including three two-hit games. Through the regular season, his .327 average and 36 hits were both third best on the team and his nine doubles were second best. He also added 17 runs and nine RBI. He posted a career-high three hits against Roanoke, and scored two runs four different times. Gray earned Second Team honors as a designated hitter, leading the Tigers and placing 16th in the ODAC with a .373 batting average in the regular season. Gray led the team with two homeruns, was second on the team with 38 hits, and third in doubles with eight. He was consistent all season posting three separate four-game hit streaks. His top game came against Guilford College as he went 4-for-5 from the plate. Gray also recorded 14 multi-hits games and posted at least one hit in 21 of his 32 games. Wind rounded out the All-ODAC selections for the Tigers with a Third Team nod. The senior finished the regular season with a .281 batting on 34 hits in 121 at bats. While starting in 33 of his 34 appearances in center field, Wind lead the team with 22 runs, 10 doubles, and two triples. He also batted in 11 runs with one homerun. He posted a season-high five game hit streak from March 31-April 7, recording seven hits in the stretch. 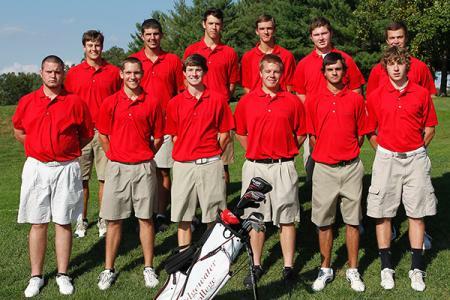 Listed below are the 2012 All-ODAC Baseball Teams. For more information on ODAC Baseball, visit the websites of any of the participating schools, or go to the ODAC's home on the Internet at www.odaconline.com. For more information on the ODAC Baseball Tournament, go to the ODAC's tournament website atwww.odaconline.com/tournament/spring/baseball. See more at link below along with other articles. EMORY, VA-Just days after junior Aaron Van Allen (Danville, VA/Tunstall) threw the Tigers' first complete game shutout of the year, rookie Zach Whitaker (Roanoke, VA/Patrick Henry) went the distance against Emory & Henry, leading Hampden-Sydney to a 6-0 victory in the second game of the day. The second game was all Tigers, as Whitaker struck out four batters and allowed just seven hits while keeping the Wasps off the scoreboard. 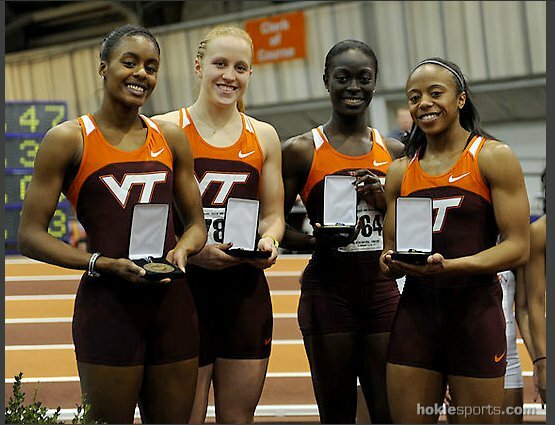 Natalie Woodford, a 2009 Patrick Henry High School graduate, competing now for the Virginia Tech sprint team, ran the 400m leg of two separate relays in the ACC Indoor Track Championships in Blacksburg last weekend. On Friday night, she ran the 400m for the Distance Medley Relay team that finished third place (bronze medal) with a time of 11:17.72 against strong competition. 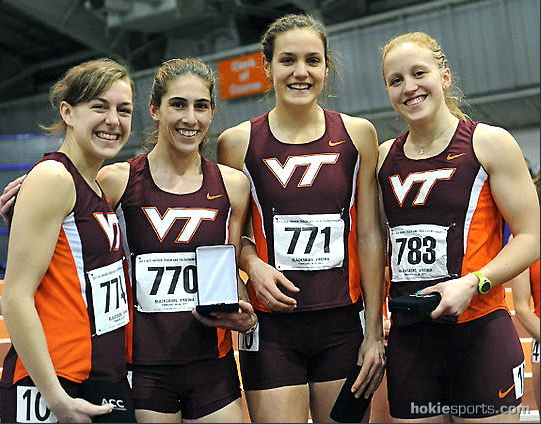 On Saturday, she ran for the 1,600-meter relay squad that finished third place (bronze medal) with a time of 3:38.16 a Virginia Tech school record for indoor track. 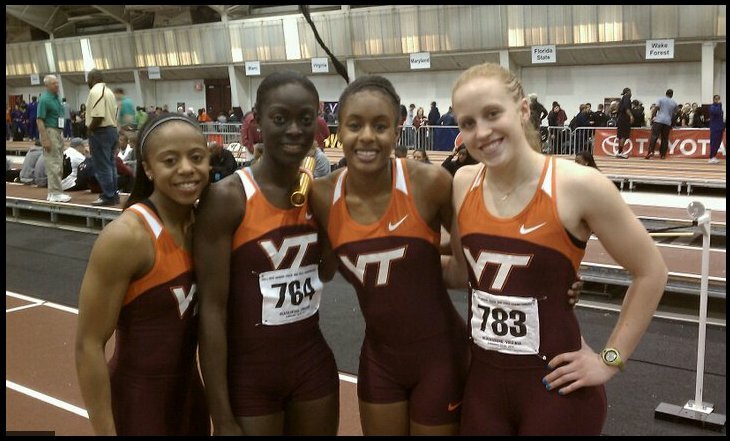 These two relays contributed 12 of VT Women’s total of 65.5 points; with the 1600-meter result securing a 4th place overall team score by 0.5 points over Miami.